So, you’ve seen all the kangaroos you can handle, cuddled with koalas till your chest hurts and now you want to see a more unique native Australian animal – to be exact, the wombat! Closely resembling the famous Quokka of Rottnest Island in Western Australia, the Australian wombat looks more like the Quokka’s larger cousin. If you want to know exactly where you can find these sometimes elusive animals look no further than our top five picks to find them around Oz. Be sure to share this list with friends, family and others who are on the look-out for these magnificent marsupials! Cradle Mountain in Tasmania has long been famous for the plethora of native Australian wildlife which roams its boundaries. After all, the area is a national park and is also regarded as a world heritage site, ensuring no lack of natural beauty too. 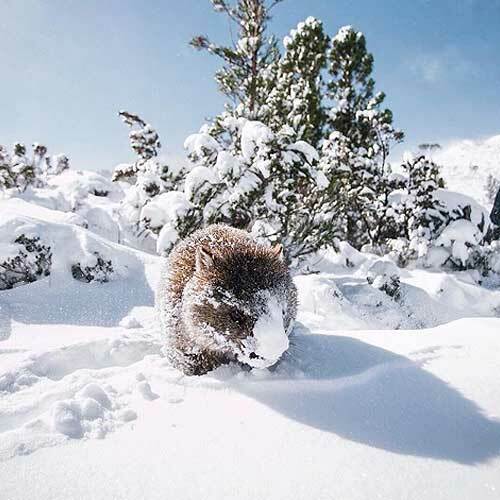 Amongst many other unique and mysterious wildlife that live here, Cradle (as it’s known by the locals), is famous for wombat spotting, especially in the winter. Park rangers say that during the winter months it is the best time to find wombats wandering in their natural habitat. 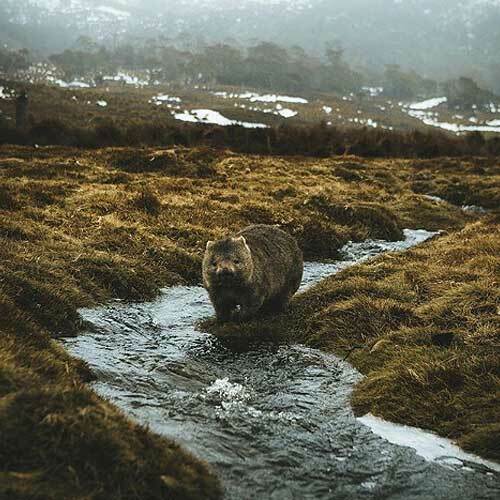 Particularly around the area of Ronny Creek near sunset, visitors should be able to see a number of wombats in their natural Tasmanian habitat. When you want to find wombats, put ‘Cradle’ on your bucket list! Photos taken by Sam Barnard. Another fantastic spot to locate furry and friendly wombats is at ‘The Prom’, or Wilson’s Promontory National Park in the state of Victoria. 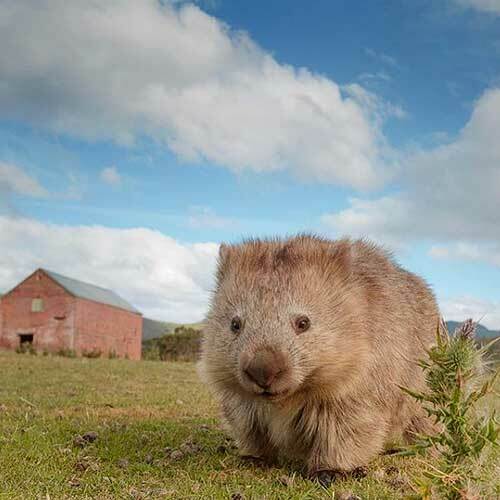 Located three hours from Melbourne on the southern-most tip of Australia’s mainland, visitors here are able to see wombats in their natural surroundings. ‘The Prom’ is a thick bushland area of Victoria and is the perfect setting to find wombats meandering around the place. There are many amazing camping spots within Wilson’s Promontory National Park so pitch a tent, set up a caravan and become one with nature. Just don’t forget to have that phone camera handy when a wombat walks by! Photo by Mark Cox. If you can’t get to a natural setting to find wombats, there are also many amazing open range wildlife parks throughout Australia just teeming with native Australian marsupials. 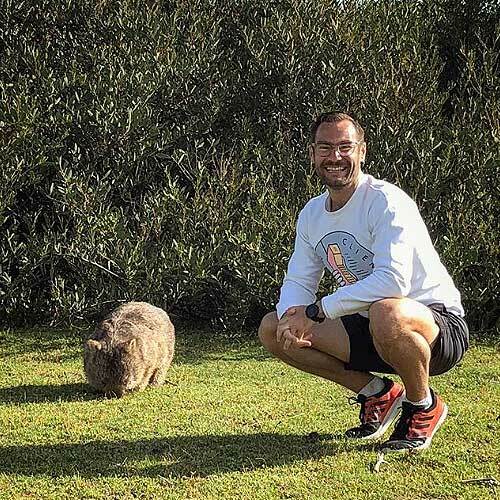 In particular Urimbirra open-range wildlife park in Victor Harbor, South Australia is a fantastic place to stop by for a wombat-selfie. 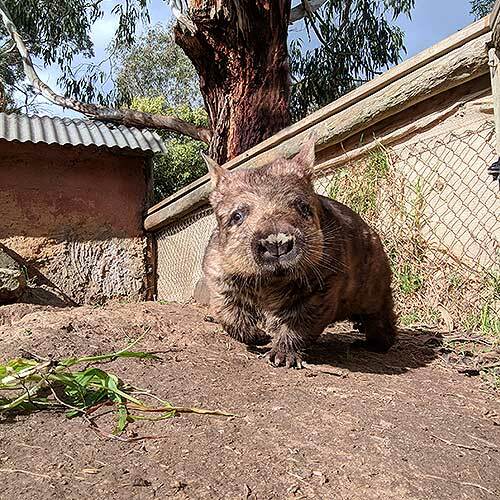 Whilst the wombat’s natural Australian habitat tends to be in south-eastern Australia, such as Victoria and Tasmania, if you’re ever visiting South Australia, Urimbirra is the place to go. With a range of other native Australian animals to feed and photograph, Urimbirra provides a brilliant opportunity to find wombats in South Australia and in as close a natural setting as possible. A must do if you are ever travelling to Adelaide! So, you’ve taken that trip to Sydney, seen the sights of the Opera House and the Harbour Bridge. Now you want to see a bit of wildlife and more specifically look for wombats in New South Wales. The place you need to go is Kangaroo Valley! 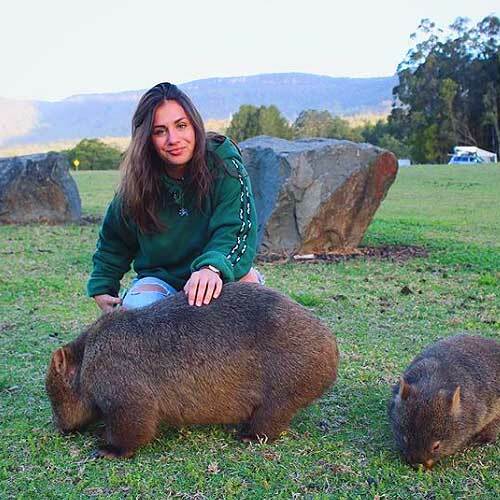 In contrary to its name, Kangaroo Valley is situated a 2.5 hour drive from Sydney and is actually the best spot to see a wombat in the wild in New South Wales. Home to a massive population of wombats, the best place to see them is Bendeela Camping and Picnic Area. Once here you are pretty much assured to spot one of these cute and furry friends in their natural habitat. So yet again get your cameras in position and snap up a great Instagram opp! Photo by Manon Billemont. Finally, as we make our way down the list, it is Maria Island that sums up our favourite picks to find a wombat in the native Australian wild. 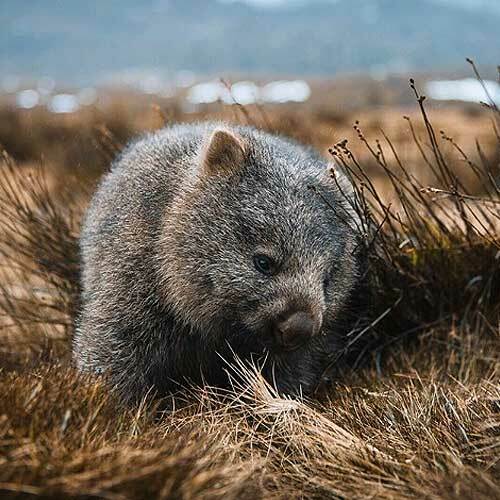 Known as one of the best places to find wild wombats in Australia, Maria Island is also a sanctuary for spotting wallabies, kangaroos and even the evasive Tasmanian Devil. The whole island is also a national park and is largely visited for its natural wildlife and pristine natural beauty. But if you’ve come here to see the wombats, there are plenty. Maybe you can even spot a mother with its ‘joey’ (baby) tucked away in its pouch? Witness the famous ‘wombat waddle’ as you see these unique marsupials for the first time. There’s one thing for sure – you will see wombats! Photo by Pure Looney.